Obesity and type 2 diabetes are both metabolic diseases that have become increasingly common over the past few decades. Both conditions are largely caused by diet and lifestyle, which is why they usually occur later in life. However, it’s now not uncommon for children to be diagnosed too. It turns out that infants born to mothers with either or both of these conditions appear far more likely to develop it themselves, and at a far younger age. New research helps to explain why. A new study has found that an early infant’s gut microbiome – the bacteria in their gut – may be the key to this issue. The gut microbiome of infants is highly variable between individuals. It also fluctuates over time, reaching stability at around age 2. 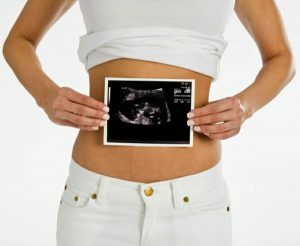 So the mother’s gut bacteria at the time of pregnancy and birth appears to have a direct influence to the child’s bacteria. In addition to breastfeeding, supplementing with probiotics and prebiotics may lead to significant improvements in the gut microbiome. One trial of 122 mothers and their children examined the effects of supplementing with Lactobacillus rhamnosus and Bifidobacter lactis. Researchers found that supplementing from week 36 of pregnancy until delivery increased the counts of beneficial Bifidobacteria in the infants’ gut by the time they were 3 months old. At Darwin Dietitians we can help you optimize your gut microbiome, whether expecting or just looking to improve your health. You can call us on 08 8927 3700 or simply make an appointment here.